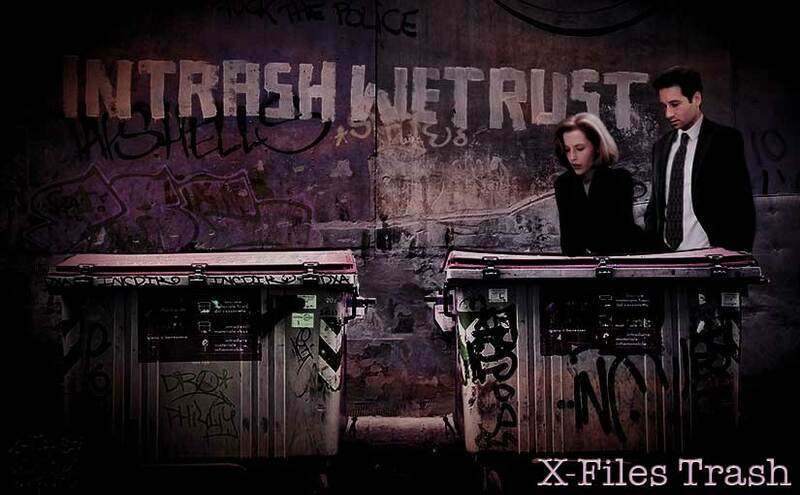 X-Trash – A flaming trash receptacle of X-Files fan works + directions to better places. Welcome to my trash. Unless you’re Chris Carter. Chris Carter is only welcome to visit this page. Fanfic by Category contains links to the lists of fics. I’m gradually changing them from their original PDF format into tables to make them easier to navigate on portable devices, but longer ones will probably remain as PDFs if I can get mobile links working. I’m still reading fanfic and if I can decipher the notes I take in the dark I should be able to update each list with some new fics. Select Digital manipulations to visit the G-PG-13 rated manip gallery, and from there you can get to the R – NC-17 gallery. The perfect name for each gallery is yet to come to me, so names could change at any time. The majority of pages on this site are adults only. A pop-up should only appear on the first adults only item you look at. This might play up from time to time and be over-eager to show itself, but it annoys me when it does that too so I’ll try to fix it. Much of the content is suitable for mature audiences 15+, but please take note of individual page/story ratings. Please enjoy your visit, and watch out for the occasional dumpster fire.